LOOK WHAT'S ON AT THE ROSE & CROWN! Our popular Bistro offers both indoor and outdoor casual dining and is renowned for fantastic value and excellent quality meals. The bistro menu is complemented by a selection of perfectly chilled draught or boutique beers as well as an extensive wine list, with something available to suit all tastes. 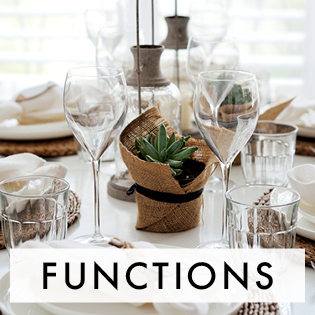 We cater to any type of function and tailor our packages to suit your needs. For a truly unique function at our historic and traditional local pub, book your next function at The Rose & Crown Hotel. Our newly renovated Bistro offers both indoor and outdoor casual dining and is renowned for fantastic value and excellent quality meals. The bistro menu is complemented by a selection of perfectly chilled draught or boutique beers as well as an extensive wine list, with something available to suit all tastes. The Rose & Crown Hotel is the place to be to catch all the action from your favourite sport, from racing to footy we have it all for you. 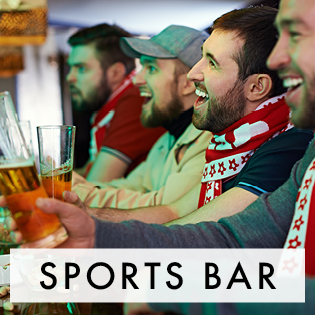 Our interactive Sports Bar offers all the latest technology to enhance your sporting experience, from having a flutter on the next to jump, supporting your favourite team or watching a worldwide major sporting event, grab your friends and cheer loud. The Rose & Crown Hotel is now your NEW venue to watch the UFC live & loud, the fastest growing viewing sport in the world. Drop in and become a part of the action. The Rose and Crown Hotel offers the local community the convenience of a fully stocked Bottle Shop. Whether you are having a work party, office function or just friends and family dropping around for a home party, our bottle shop can cater for all ocassions from a great range of wines, beers, spirits and more. There is ample parking at the hotel so drop in and grab a great special today. 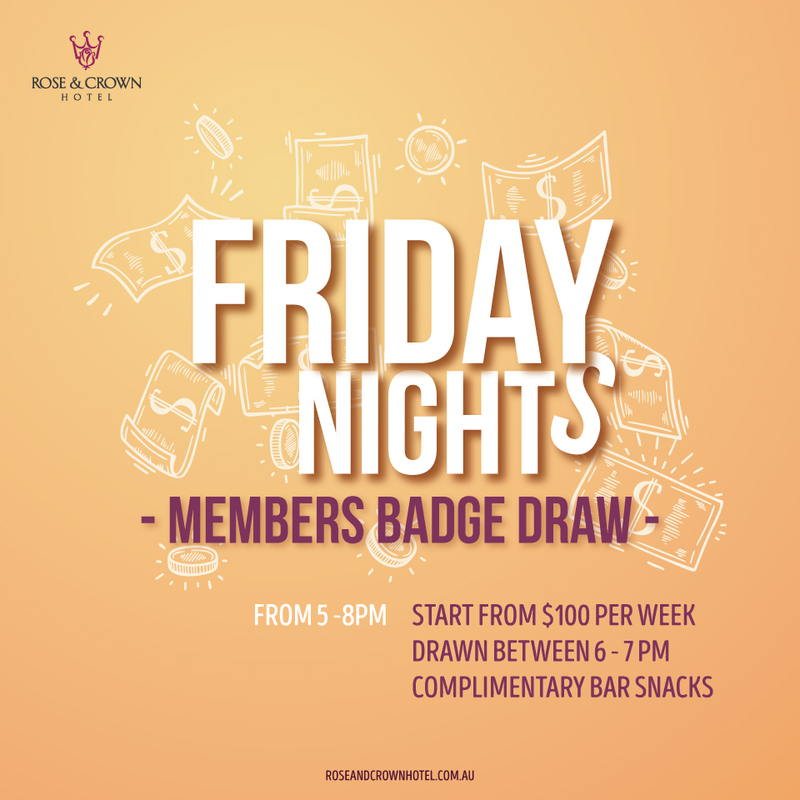 The Rose and Crown Hotel offers you a great opportunity to join one of the fastest growing hotels in Sydney's west. Our unique membership offers you a variety of special discounts including food, beverages, events and more. The membership includes a subscription to our newsletter and sms, to keep you up to date with all the news! Complete the below form to sign-up to our Membership program. Thank you! Your card will be processed on your next arrival at the Rose & Crown Hotel. The Rose & Crown Hotel is a traditional 'local style' pub offering friendly service and a warm welcome to our patrons. Originally established around 1823, the Hotel still operates from the same site at the corner of Victoria Road and Sorrell Street Parramatta to this present day. The tradition of serving the local community has continued proudly for almost two hundred years, culminating in the modern facilities & services we provide to our patrons today. The Rose & Crown Hotel new renovations feature a fantastic new bistro and bar area. We are excited to announce that our newly renovated Bistro is now open! The new Bistro is a fresh and modern family friendly space for you to relax and enjoy! Our chef has created a menu that features all of your favourite pub classics as well as a range of gourmet dishes that will have you coming back for more. Come in and enjoy the new Bistro and the delicious menu! For table bookings, please phone 9630 1405.